The Croatian coast, is home to one of the largest archipelagos in the Mediterranean. On the fringe there are islands, 1246 of them by one count, scattered like marbles. Of those, a spare 67 are inhabited and many are smaller than three acres. Some companies offer cruises onboard wooden ships, gullets or yachts. Each boat is fully equipped and comes with a professional crew that will take care of passengers. The boat offers superb accommodation in very comfortable air-conditioned cabins (double/twin beds) which comprise toilet with shower and enough storage room for your belongings, large salon with bar, lots of deck space and sunbathing and outside dinning and lounge area at stern. Ships can accommodate between 12 and 40 people, with most cabins configures for two people. Depending on theme of the cruise there are cruises which is more relaxed and include leisurely sightseeing and more active which include hiking, cycling and other sport activities. There are also cruises for younger people which include time for swimming and sunbathing during the day and party time during the night. Visits to the local restaurants are also part of the activities while on cruises. You can choose from cruises departing from several ports on the Croatian coast depending on your convenience. 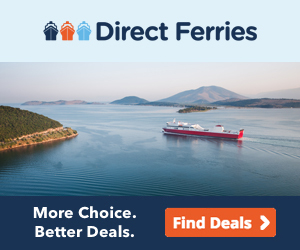 Therefore, you can choose cruises from Rijeka and Opatija (Istria and Kvarner), Zadar (Northern Dalmatia), Split and Trogir (Central Dalmatia) and Dubrovnik (Southern Dalmatia). Duration of cruises varies from 7 days to 2 weeks. Topdeck Travel offers you amazing travel packages for 18 to 30 something. In Croatia you can enjoy on Croatian Riviera cruise departing and ending in the port of Split in Central Dalmatia. On this cruise you will sail onboard wooden ship the picturesque islands of the Dalmatian coast. You will combine different activities - swimming, sunbathing, sightseeing etc. This adventure lasts 7 days. Adriatic Sunsets cruise will take you from Dubrovnik to Split onboard sailing ship. You will spend your days relaxing on the deck under the glistering sun, swimming in the crystal clear Adriatic sea and visiting ancient towns along the coast.